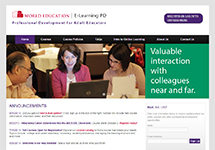 Online Courses - Services - United States - World Education, Inc.
Several self-paced courses are free, and the facilitated courses are fee-based to cover the cost of expert facilitation. The topics of our courses range from numeracy and college and career readiness to differentiated instruction and learner persistence. All courses are designed and facilitated by experts with extensive expertise in the topic and many years of experience in adult basic education. Designing a forty-hour hybrid certification training for Virginia’s statewide Adult Career Coach initiative. Going Online with Professional Development! 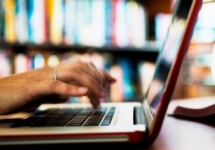 The U.S. Division of World Education is seeing increased use of online courses, webinars, virtual professional learning communities (PLC), and other virtual resources for professional development. 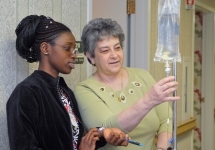 Lessons learned from working with three local workforce investment boards to create online courses for a project called the Health Care Learning Network. What did we learn on our 8-year journey of developing online courses?